When you hit the brakes on your Porsche vehicle, then need to work. Porsche’s high-performance brakes are designed to give you long-lasting, quick stopping capabilities, but it’s important to have your brakes inspected routinely to ensure that they will perform well in the moments that you need them the most. Drivers from Palo Alto to San Jose can trust the Porsche Certified Technicians at Porsche Fremont for all of their brake inspection needs. It’s not always easy to tell when your brakes are in need of replacement or repair. That’s why it’s important to have a brake inspection done at a regular interval so that a certified technician can check their status and let you know if anything needs to be done. A brake inspection should be performed as part of routine maintenance, just like when you bring your vehicle in for an oil change. This service is important to your safety for obvious reasons, and it also helps keep maximum responsiveness behind the wheel. You want to have an expert eye make sure that everything is in its proper working order, and our service center has a full inventory of genuine Porsche parts, so should a repair or replacement be necessary we can often take care of it in one appointment. If you’re noticing that it’s taking longer to stop or more force is needed on your brake pedal to come to a halt, please do not hesitate to bring your vehicle in today! 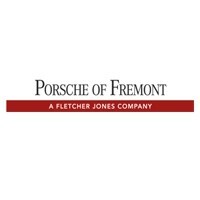 Bring your Porsche in to have a brake inspection today at Porsche Fremont. You’ll find us at 5740 Cushing Parkway in Fremont, CA. Our factory-trained service technicians are here Monday through Saturday to perform repairs. Make an appointment online or by phone at (510) 279-7060.